We all shop on Amazon for things that we need like books, desk decor, pet supplies, kid toys, or electronics. What many don’t realize is that sites like Amazon and eBay also sell clothing. 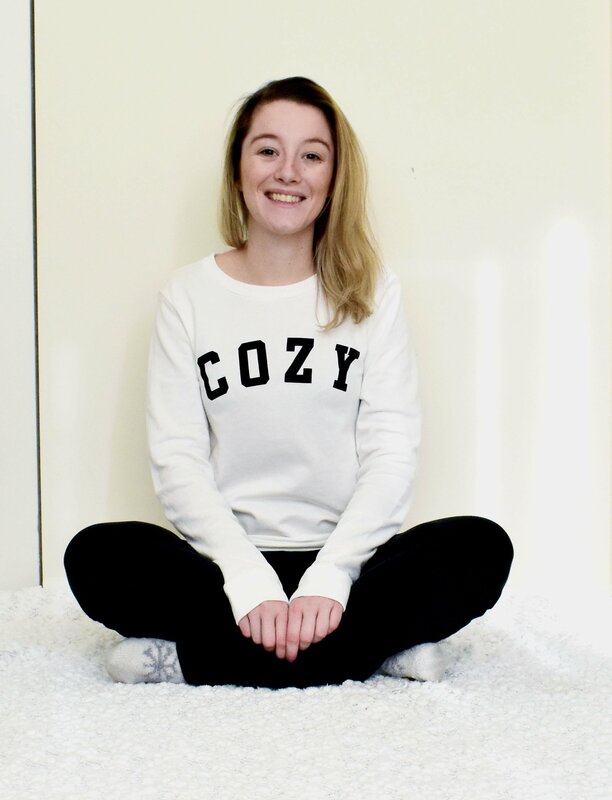 You can actually find some pretty amazing deals on cute clothing on these sites. Yes, Amazon does have a fashion section filled with high-end designer pieces, but that’s not what I’m talking about. The site also has small retailers all over the world that design products to be specifically sold on Amazon. You can find great quality products at a fraction of the price than what you would pay for it in a brick and mortar store. But, you need to be careful with what you are buying, because there are sellers on these sites that are just looking to get your money in exchange for a crappy product. When shopping online on stores like Amazon or eBay there are many factors that you need to consider before clicking add to cart. I have put together a little guide that will help you to make sure that you receive the good quaily product that you paid for. This guide can also be used for any type of product, not just clothing! In this blog post, I will be going through the steps I took when I was looking to buy the products below. The most important thing to look at while shopping on Amazon or really any online site is to look at the reviews. How many reviews do they have, are they all good, all bad, a mix of both? Customer reviews can provide a lot of insight into the product that you are looking to purchase. 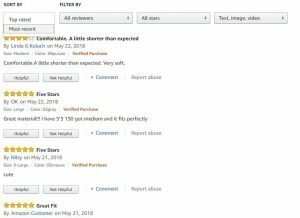 The image below shows the reviews for the Molerani Women’s Casual T-shirt Dress. They have over 1,000 reviews, all 4 stars or more! That is a great sign! Now let’s dig a little further to read what people are saying about the product. If you sort by “most recent” you will have a better idea of how people like the product. If there are no recent reviews, say in the last year, be cautious because you don’t have up to date info on what people think of that item. While you are reading all the reviews that customer wrote you may notice that people will also leave photos. It could be images of them wearing or using the product. 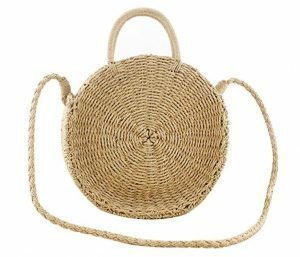 The images below are from the Donalworld Women’s Woven Beach Bag. When I purchased this bag 3 weeks ago there were only 4 reviews but there were customer images of the bag. This helps me see how the bag looks on a person, as well as the quality and details of the bag. It didn’t matter to me that the bag only had 4 reviews because the pictures were all the information that I needed. 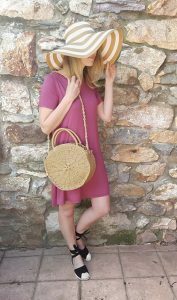 Fast forward to today this woven bag listing has over 14, 3.5-star reviews, that’s a great sign because it means that more people bought the bag and loved it just like me! Now that we have looked at the reviews and determined that this is the product that we want to buy, we now need to look at the product descriptions and details. This information will give you a better idea of the material, sizing, and care instructions. If you were buying electronics these details would tell you if the product is compatible with the item you already own (ex: when buying a case for your laptop or tablet). You can learn other important information like, if the item you want to buy runs larger or smaller. You can see if it is machine washable or hand-wash only, or what other items you could wear with the product. 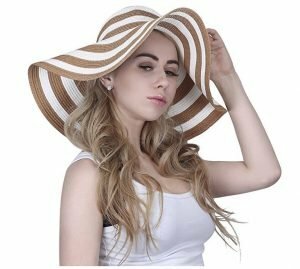 The image below is for the HDE Women’s Floppy Straw Hat and from the info below I can note that the packaging makes the hat wrinkly and that I will probably have to iron or steam it to get the hat back to normal. Some Amazon listings will also have more detailed images and product descriptions at the bottom of the page. They usually feature more lifestyle images of people wearing or using the product. Also, it could have more detailed information about the product like sizing as well as where you can wear this product and what you can wear with it. 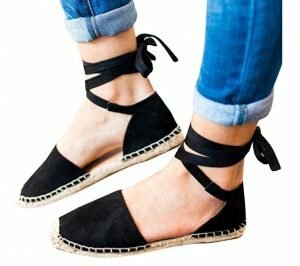 The image below is for the Huiyuzhi Women’s Ankle Wrap Espadrilles. 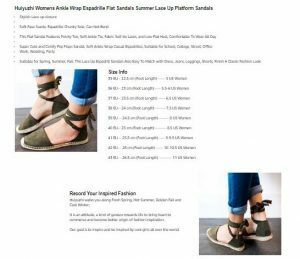 They provided more pictures of people wearing the sandals and stated all the different ways that you can tie the straps. My overall experience ordering all of these items on Amazon was a very positive one! All the items I ordered were under $25 and the whole outfit cost under $100. The bag was the item that really exceeded all of my expectations. Since the listing only had four reviews I didn’t really know what I was going to receive, it could’ve been a really cute bag or a crap china made product. This bag is going to be the bag I use all summer long and at the beach! The t-shirt dress was really cute and simple. The fabric was thick and actually heavy, so no need to worry about it being see through. The hat was unbelievably adorable and I wish I could have worn it to a Kentucky Derby event. Lastly, the sandals were made of thin fabric and if I stepped something sharp, it would’ve gone right through the bottom of the shoe. The black straps were very thick and did wrap around my ankle at least three times. Overall I am very happy with all of the items that I bought and hopefully, they will last a long time! Awe thanks so much for enjoying my post! At my current job, I work with Amazon every day so I learned a few tricks and wanted to share them with everyone! I’ve recently discovered the clothing realm of Amazon, but I still find it hard to know what is going to be good quality or worth. With amazon though it’s easy to return as well, so it’s not that big of a deal. I am always a bit hesitant though. Your tips are super helpful though, especially the one about looking at the most recent reviews. I’ve never thought about that. Great Post! This is such a useful post! Shopping for clothing on Amazon can be tricky if you don’t pay attention to details like this! Customer photos are one of the first things I always make sure to look at. It’s crazy how different they end up looking sometimes! You’re so welcome! I work with amazon a lot for my job so I know all the tricks to buying the best stuff. Let me know how it all works out for you! It never occurs to me to shop for proper clothes on Amazon, yet I’ve been on it a few times for costume pieces for theatre productions. I’d say I need to start looking at it, but bits and bobs on Amazon Prime are already hurting my bank account as it is! These are some great tips! I have looked at clothing on Amazon before. It always been a bit wary of ordering since I couldn’t try it on. But I think following some of these ideas might help me get a better idea of whether I would like something! Thanks! Thank you! I’m so glad that I could help you realize that Amazon has good clothing!! Great post! I love shopping on Amazon and find the reviews and number of reviews really helpful in making my decision. Reviews are so helpful! There is really no other way to know if you are buying a good product or not other than reading the reviews! 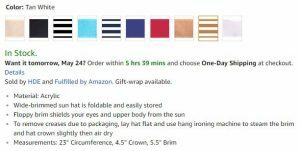 I’ve always been on the fence about buying clothing from Amazon but after reading this, I’m going to take a look! It seems like they’ve come a long way! Do you find that the better items are more expensive? I think you really just have to research into what you are buying. Reading the most recent reviews and finding out what people are saying about the product will help you the most. And having the product be more expensive doesn’t necessarily mean that it’s a better item. Since retailers can change the price whenever they want on Amazon, you are more likely just paying more. 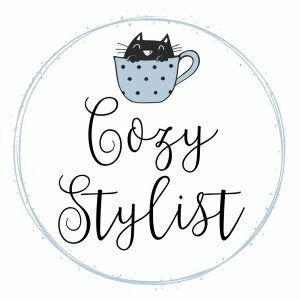 I have found some great products that have lasted a long time, and they cost under $15!